Texas GOP Rep Joe Barton grilled Zuckerberg on their censorship of black Trump supporters, Diamond and Silk. 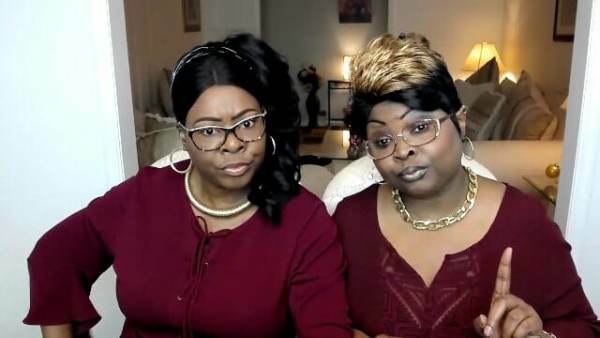 Diamond and Silk unloaded on Facebook last Friday night after the social media giant finally responded to their many inquiries as to why Facebook is censoring their content and brand. The dynamic duo boast over 1.2 million Facebook followers on their main Diamond and Silk page. Diamond and Silk say their reach on Facebook has dramatically reduced prompting them to seek answers from Facebook. News of Facebook’s egregious response to Diamond and Silk spread like wildfire. Senator Ted Cruz also blasted Facebook CEO Mark Zuckerberg on the company’s censorship of conservatives, specifically Diamond and Silk. On Wednesday, GOP Rep Marsha Blackburn also ripped Zuckerberg for conflating Diamond and Silk’s content with terrorism. Zuckerberg lifting the censorship of Diamond and Silk is a start. Now it’s time to lift the boot off of The Gateway Pundit, Breitbart and all the other conservatives being crush by algorithms for their political views. The post Zuckerberg Admits Facebook Made “Enforcement Error” in Determining Diamond and Silk “Unsafe” – ‘Working to Reverse It’ appeared first on The Gateway Pundit.